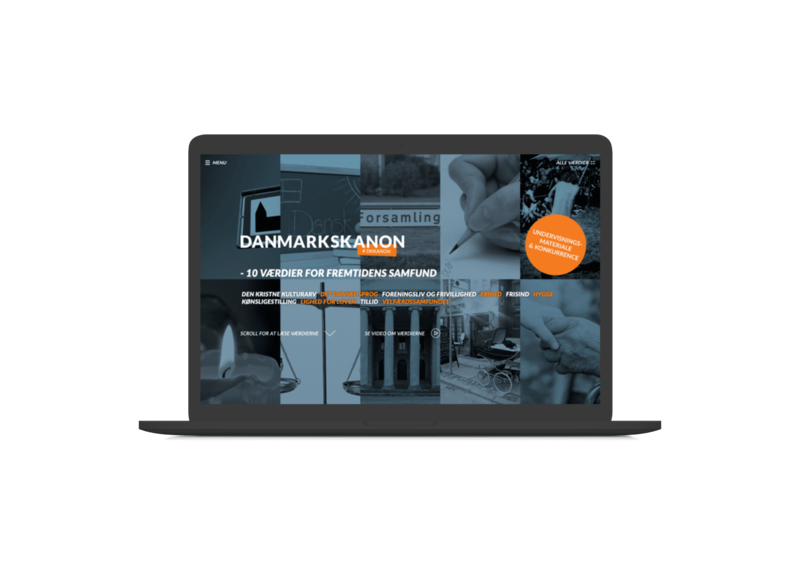 STRØM developed, coordinated and launched the nationwide cultural campaign of the ‘Denmark Canon’ for the Danish Ministry of Culture. 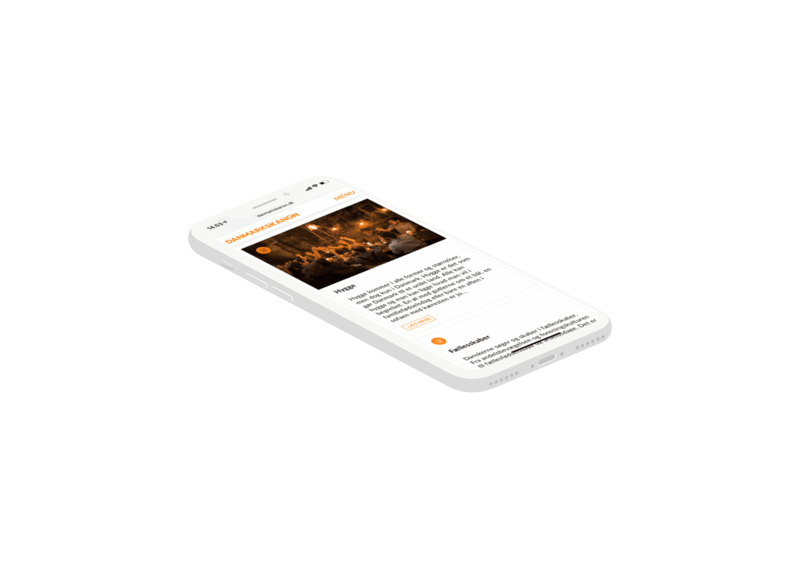 A formative project that was to raise awareness about the historical and cultural social values, traditions and events that have particularly shaped society and people in Denmark. 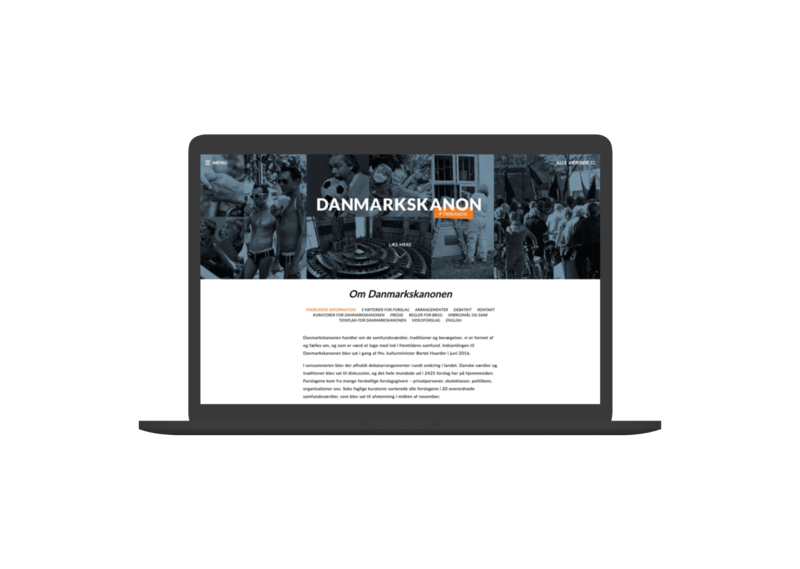 The Danish Ministry of Culture wanted to engage Denmark’s citizens in creating a canon for Denmark – meaning they wanted to collect and discuss societal values, traditions and movements that have shaped Danish society and culture. The involvement campaign should lead to a canon with 10 defined core values. One of the challenges was the mere volume of the project. Not only was it a nationwide campaign involving prominent pillars of Danish society, reaping great attention and coverage in medias – but it was also a requirement from the Ministry that the platform would portray complete openness and be flexible to great amounts of inputs. From a technical perspective it was important that the platform could collect data across different channels such as Facebook, Instagram, Twitter and the website, and transform the data to useful inputs for the Ministry. It was also important to create a platform that would portray the Ministry’s wish to facilitate a democratic process and it was therefore crucial to make the platform intuitive and easy to engage with for everybody – across generations, education and IT-skills. 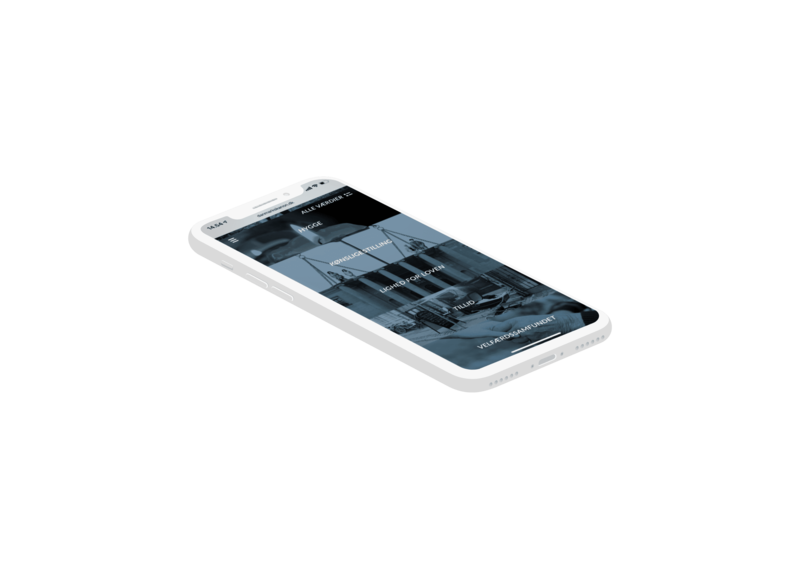 STRØM created and facilitated a far-reaching and ambitious digital citizen involvement campaign using an especially developed campaign site, social media platforms, high profile ambassadors and effective target group marketing. We executed a cross-channel marketing strategy on Social Media throughout the campaign period. 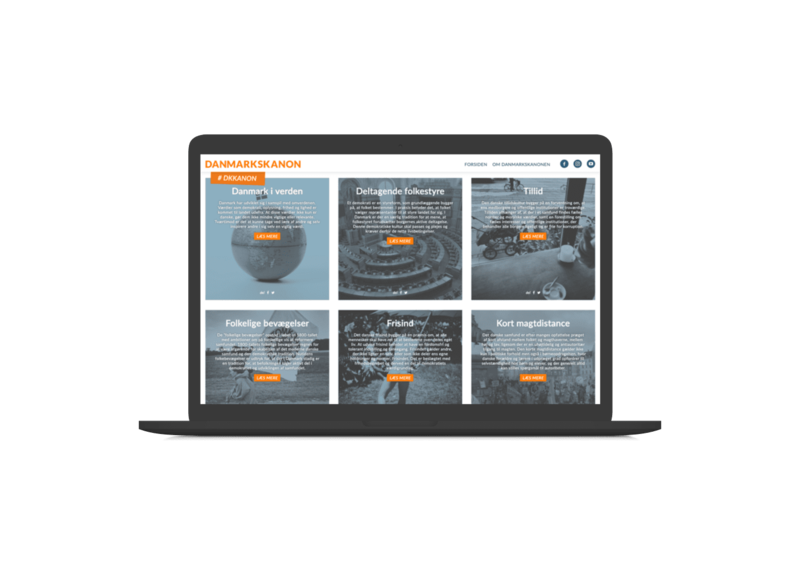 The platform, Danmarkskanon.dk, was developed to receive and contain enormous amounts of contributions – collected directly on the site but also extracting the contributions from the connected social media platforms. 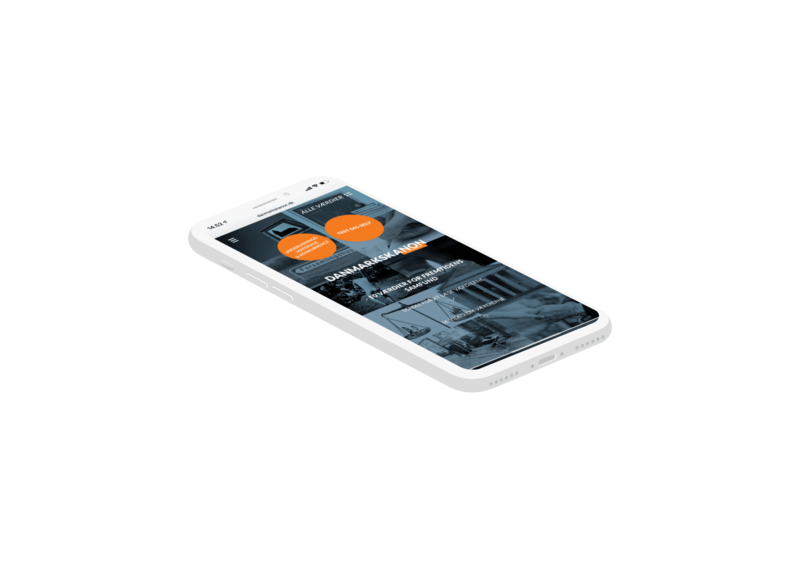 It was tuned to receive not only text contributions, but also pictures and videos, hereby accommodating the wish to collect as wide a field of cultural inputs as possible. We also built it so agile that we could develop and adapt the interface throughout the 6 months the contributions poured in – always suiting it to the changing needs of the Ministry’s secretariat who were collecting and using the data. We successfully created a user-friendly platform that encouraged the population to engage in the campaign and portrayed openness and two-way communication between the Ministry of Culture and the individual. 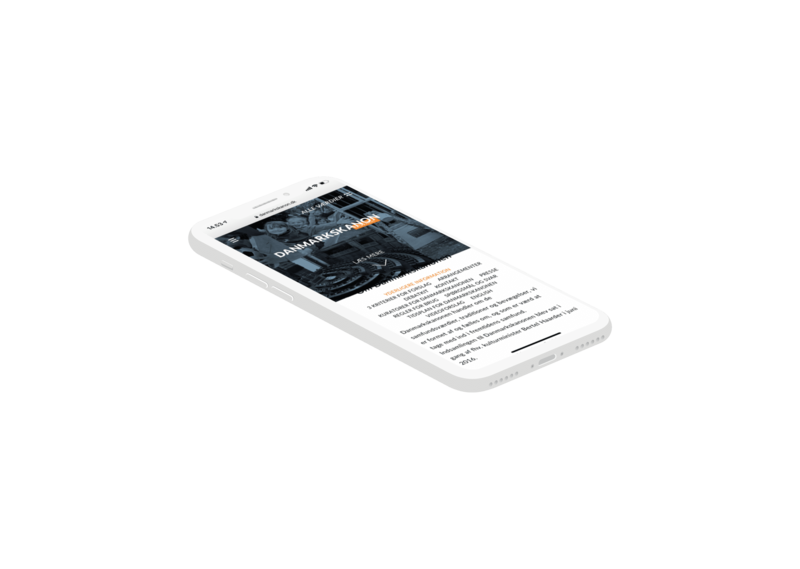 Technically speaking we built a powerfull platform that was agile enough to contain and collect huge amounts of information and an interface that was flexible and could be adapted as the process evolved. This way we collected all data in one place and made it easier for the Ministry to navigate the contributions and to draw out reports and other statistics that were invaluable to the Ministry of Culture’s work with the making of the Denmark canon.